Snacking has evolved to take on increasing importance for today’s young consumers, who have come to view snacking as part of a healthy diet. High consumption of snack foods sets Generation Z apart. In fact, they consume 53 times more snack foods per capita than older generations, according to a report in Food Industry Executive. This generation views snacks not only as between-meal fillers, but also as an important element of component-based meals when combined with other snacks and appetizers. Young consumers in particular expect the convenience of being able to snack anytime, anywhere without sacrificing quality and health attributes. In fact, 64% of Gen Z consumers say a halo of health is important in selecting snacks and meals, according to 2018 data from the Y-Pulse School Meal Innovation Lab. In addition, nearly a third of consumers—30%—say snacking between meals is part of a healthy diet, according to Technomic’s 2018 Snacking Occasion report. The report also found that 52% of consumers were seeking snacks that were high in protein, 48% want snacks that are energizing, 44% said they want snacks that are high in Vitamin C and 43% want snacks that are high in fiber. While the preference for healthy snacks is an over-arching theme for these consumers, they also want snacks and meals that are portable for on-the-go eating. The increasing popularity of all-day breakfast has also left consumers receptive to all-day breakfast snacks. 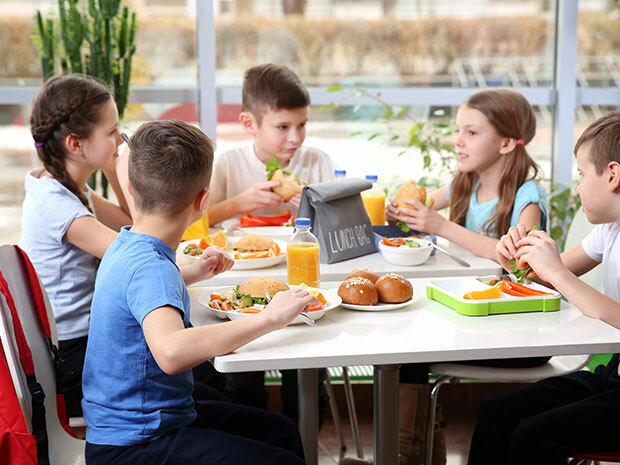 For children in the K-12 age group, their attitudes about food have largely been shaped by their Millennial and Gen X parents, who have embraced healthy eating. These young parents are often seeking foods for their kids that have clean labels free from artificial flavors and colors and high in healthy attributes such as whole grains and fiber. In fact, 44% of millennials say they would visit restaurants more if they had more refined kids menus; they are interested in and willing to pay more for dishes with ingredients described as fresh, real or made from scratch, according to Technomic’s 2018 Generational report. They also associate name brands with product quality. More than half of parents in the Gen X and millennial age groups cite quality as the top benefit of purchasing national brands, according to the 2018 Why Brands Matter report from Acosta. Kellogg, for example, has reformulated its Pop-Tarts® Made with Whole Grain Frosted Strawberry and Pop-Tarts® Made with Whole Grain Frosted Cinnamon to satisfy the demands of today’s consumers. sThese products now include more whole grains per serving as well as colors and flavors from natural sources. They also are free from high-fructose corn syrup, which means that operators can rest assured that new-and-improved Pop Tarts will please both students and parents. These healthy and flavorful snacks also meet the USDA’s Smart Snack requirements for the nutritional content of food served in schools. School foodservice operators are also working to improve transparency and boost parent engagement through initiatives such as hosting open houses, where parents can sample some school meals, ask questions or voice concerns. Many are also sharing menus on social media and encouraging parents to follow and engage with them on those platforms.